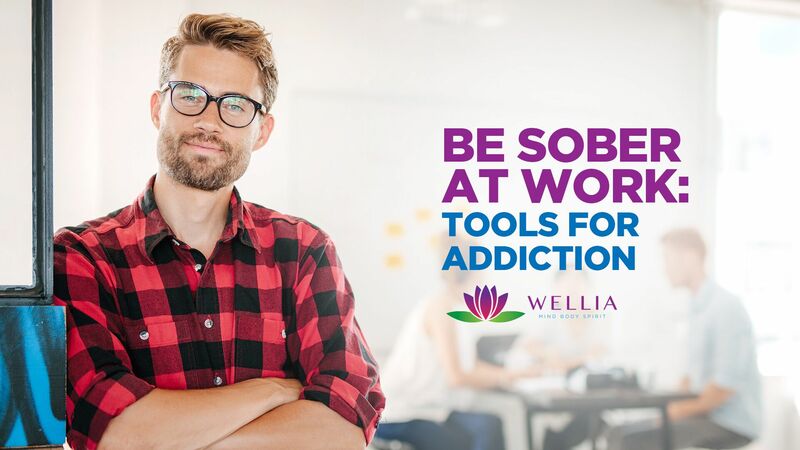 This powerful workplace wellness video provides helpful tips for all your employees, whether engaging in occasional substance abuse, or chronic addictions. 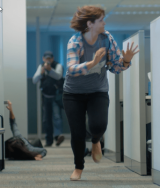 Learn how to recognize an active threat and respond appropriately during and after a situation with active shooter training for all employees. 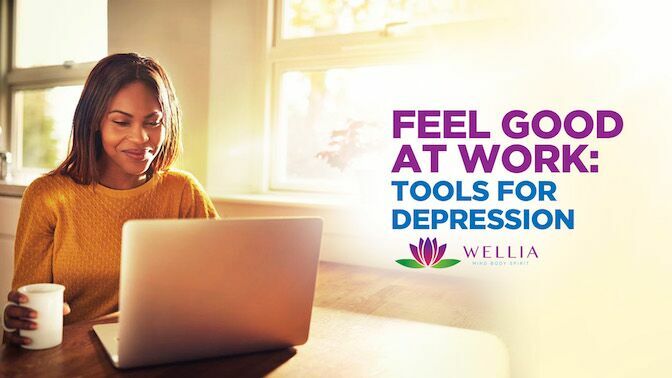 This powerful workplace wellness video provides helpful tips for all your employees, whether experience low-level stress, or chronic anxiety disorders. Sexual harassment training helps all employees including bystanders. Addresses unwanted and unlawful sexual harassment in the workplace, and learn how to respond if an unfortunate event does occur. Participants explore the importance of a successful onboarding experience and building a connection to the organizational culture that includes creating a better alignment to personal values. Creating an inclusive environment in the workplace can be a challenge for any organization. Employees sometimes clash and don't work together as well as they should, even when they come from the same background. Add differences to the mix and this friction can get even worse, damaging teamwork and hurting the productivity of the group as a whole. Over a year in the making, this sexual harassment training programs enables organizations to move from #MeToo to a culture of #NotHere.. Scenarios take place in a variety of industries, including a restaurant, a healthcare facility, a warehouse and a corporate office. 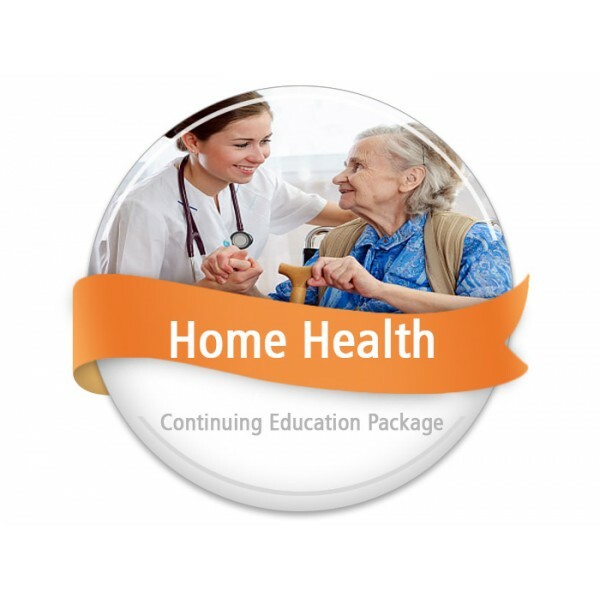 The training video programs in our Home Health Aide Continuing Education Package can be used to satisfy your HHA inservice requirements and meet the Federal inservice requirements outlined in 42 CFR 484.36(b)(2)(iii). Are you curious how diversity can help your team be more innovative and impact your culture? How about keeping that talent once they are in the door? This new series answers those questions and much more. Mars Rover Challenge provides a powerful, unique hands-on experience that allows participants to connect with the concept of collaboration at a deep and personal level. Participants are immersed in a team construction activity, whereby they are tasked by the World Space Agency to build a prototype rover for traversing Mars' rocky terrain. Quid Pro Quo harassment means this for that. It's when an employee's job or future depends on meeting demands for sexual favors. This program does not pull punches. It states what we all know but tend to gloss over - that it's people with power who are the problem. Every employee with online access needs to know about safeguarding your systems, data and networks. Working within teams is challenging enough. But what happens when cross-functional or virtual teams are asked to collaborate with one another? 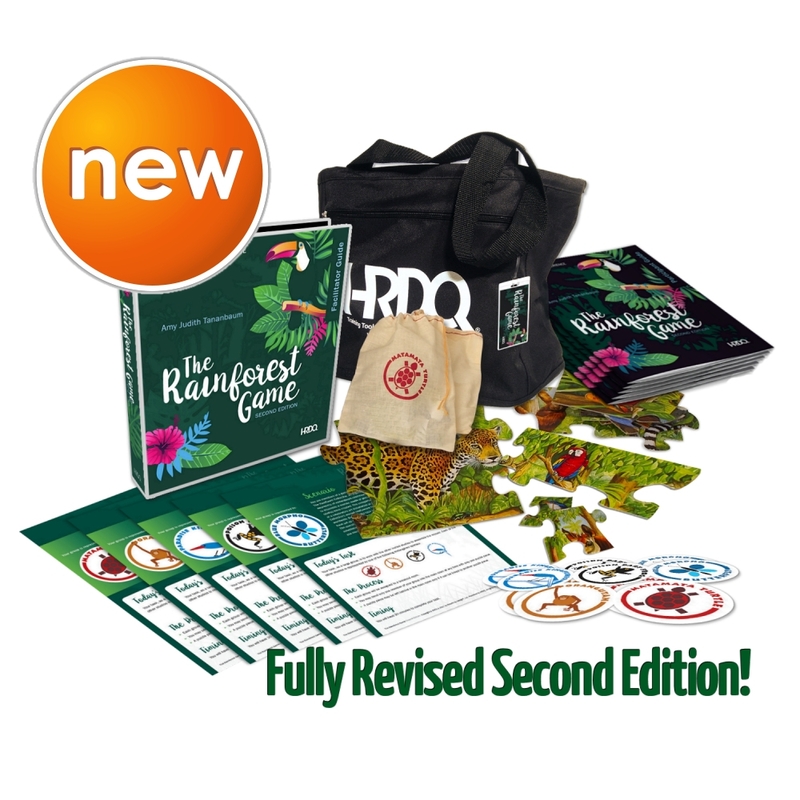 Rainforest is a hands-on game that allows teams to experience the challenge of working across boundaries – and what it means to work better together. 50 Employment Laws in 50 States, 2019 Edition is the revolutionary guidebook that puts ALL the most need-to-know employment law information - for each of the 50 states - right at your fingertips. Respectful Workplace: It Starts with You explores this learning challenge through four quintessential skill points. Wrong-way scenes depict the negative impact of disrespect while right-way scenes inspire positive, respectful, inclusive behavior. MANAGER MOMENTS: How to Build a High-Performing Team delivers short blasts of practical wisdom to help managers understand the natural stages of a team and what they can do to take their team to a higher level. Develop your leadership and supervisory skills with these high-impact productions. Seven management training top-selling titles provide proven techniques that are guaranteed to improve productivity and people skills for new managers (and seasoned veterans). Being civil means interacting and responding courteously and respectfully. This short program helps employees recognize the importance of maintaining a civil, respectful and inclusive workplace. 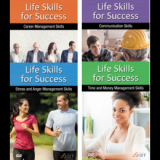 This four-part video series helps individuals identify essential life skills for their professional and personal success and implement techniques to improve those skills. As a manager, recognizing a potentially troublesome employee situation then quickly taking action is key to keeping your team motivated and running smoothly. The problem is, that takes time, and as a manager, you have a lot on your plate already. MANAGER MOMENTS: Interviewing and Termination Do's and Don'ts is designed to deliver short blasts of practical wisdom to busy professionals on everyday management challenges. Imagination envisions things that don’t exist. Creativity applies imagination to solve problems. Innovation uses creativity to come up with unique solutions. Entrepreneurship brings innovation to the world. This 4-part respectful workplace video training series is a must for managers, employees and leaders. Covering diversity, inclusion and overall respect in the workplace. This special complete set pricing makes it a "can't miss" affordable diversity training solution. 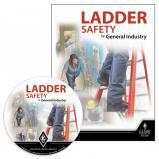 This program helps learners understand OSHA ladder safety requirements under the Walking-Working Surfaces rule. English & Spanish available all in one program. Wage & Hour law is complicated and requires. Most supervisors know some of what they need to know, but few really know as much as they should. This program will make your supervisors a better, more legally-compliant manager. PREVAIL! 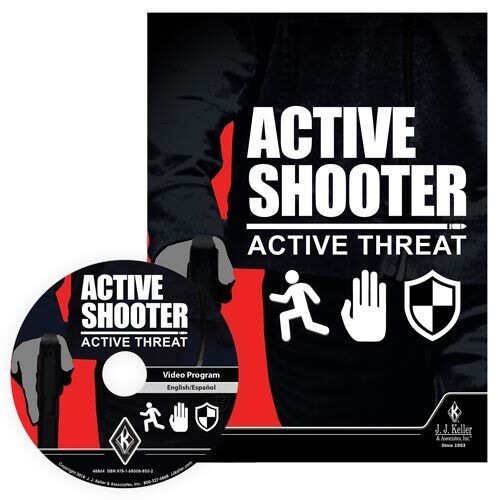 is a training program focused on the life-saving principles and tactics one can use when faced with a workplace violence or active shooter event - providing greater situational understanding. 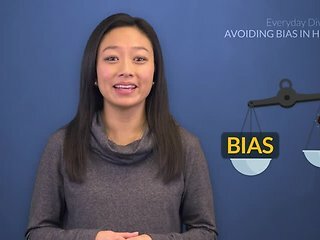 This spot-on video shows a series of stories that illustrate the kinds of legal questions that commonly occur in our workplaces. The Harassment-Prevention Essentials is a short but comprehensive program that covers the essential information all employees need to have about what harassment is and how to prevent it. Harassment-Prevention Essentials is a short but comprehensive program that covers the essential information all employees need to have about what harassment is and how to prevent it.